When it’s holiday time, a lot happens and the smell of meat hitting our nostrils cannot be ignored. Also, words start getting thrown from here to there, people trying to get their share of the much-needed commodity. In the rush, you won’t fail to hear the commonly used words like London broil and Flank steak. These are excellent choices of meat for at-home Philly cheesesteak, bibimbap, stir-fries, and other favorite beef meals. Some buyers and butchers will call flank steak London boil while others will refer to flank steak as London broil. It’s a big confusion yes, especially for anyone who does not have an idea of the various meat categorizations. In light of that, this post seeks to bring out the differences between the Flank steak and London Broil. As it is always with these posts, it does not intend to give an opinion on what meat is better than the other. Also, it does not seek to weigh the options for you as the buyer. What is the Flank Steak? The flank steak is a beef steak that is usually cut from the lower chest or abdominal muscles of a cow. Commonly, the cut is associated with Colombia and is usually referred to as sobrebarriga which literary means “over the belly”. In South America, a thin flank steak is referred to as a matambre in Spanish. It is also known as a fraldinha in Brazil, literally meaning “little diaper”. This is because of its position that is near the cow’s groin as well as its shape that resembles a cloth diaper. The flank steak is relatively a long and flat cut and is used in a variety of dishes. The dishes include the London broil and can also be used as a substitute for the traditional skirt steak in fajitas. The flank steak can be pan-fried, grilled, braised for increased tenderness, or broiled. What is the London Broil? The London broil is a beef dish usually made by boiling marinated beef and then cutting it across the grain in thin strips. Regardless of the name London broil, the dish, as well as the terminology, are North American and not British. The traditionally used cut meat for the London broil is the flank steak. However, some people will use the blade roast, top rounds, or the sirloin tip roasts in this dish. Many butchers will label such cuts as top round steak and roast as London broil even though the term does not refer to any specific cut of meat. It only refers to the method of preparation and cookery. 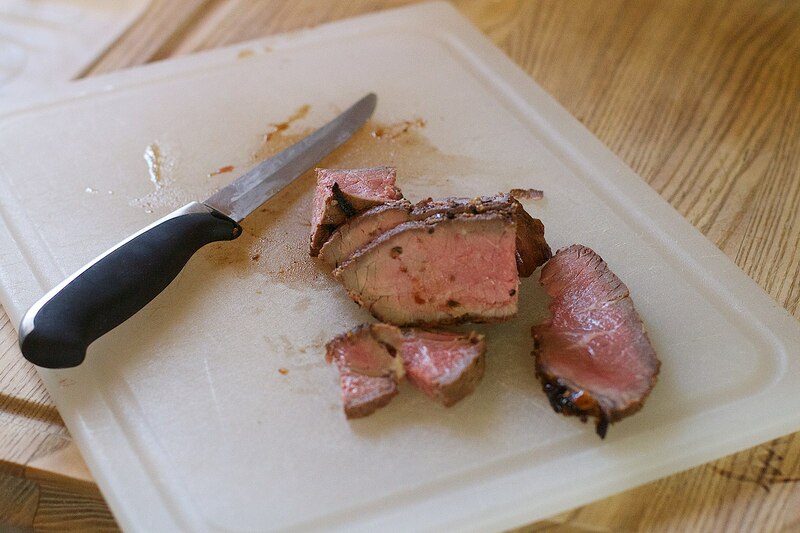 Preparing the London broil usually involves the margination of the meat for several hours. The margination is then followed by high heat searing in an outdoor grill or oven broiler. Then, it is served in thin slices that are cut across the grain. If it is cut and used for sandwiches, it is usually rarer than any traditional roast beef. Even though the two have several differences, they also have some similarities. The main ones are that the two are characterized by thin slices and have plenty of pink meat. The flank steak is cut from the lower section of the cow or the abdominal muscles. The area is usually the succulent loin, but it’s before the muscular sinews of the round. The London broil, on the other hand, is a beef dish that is made from boiling marinated beef. The flank steak is a meat cut that is mostly used in the style of preparation while London broil refers to a method of cooking the flank steak. Even though some butchers and even cooks often use the terms London broil and flank steak interchangeably to describe the same cuts, these two are not at all synonymous. To the identity-conscious culinary pedants, the two can never be used in place of each other. As the name suggests, the flank steak is a meat cut sourced from a specific area of a cow, while the London broil is usually a method of cooking the various lean cuts similar to and including the flank steak. Simply, it can be concluded that the London broil is a method of cooking while the flank steak is a cut of meat mostly used in the style of preparation. Sarah Brown. "Difference Between Flank Steak and London Broil." DifferenceBetween.net. 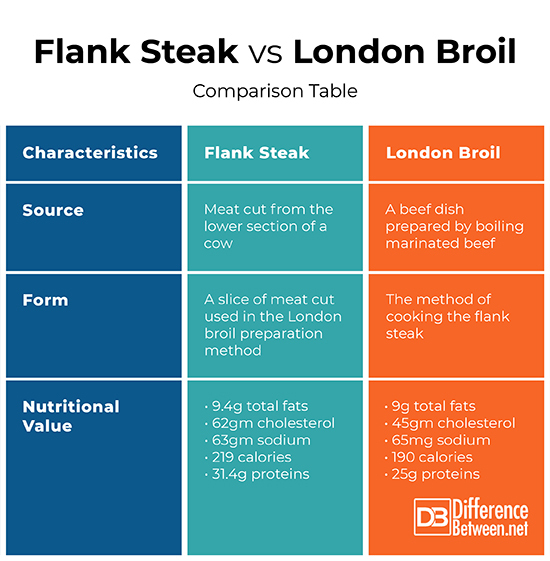 January 17, 2019 < http://www.differencebetween.net/object/comparisons-of-food-items/difference-between-flank-steak-and-london-broil/ >. "Calories In Food 4 Less Beef London Broil | Nutrition, Carbohydrate And Calorie Counter". Calorieking.Com, 2018, https://www.calorieking.com/foods/calories-in-beef-beef-london-broil_f-ZmlkPTEwMTEzODY0.html. Accessed 21 Dec 2018. "London Broil". Men's Health, 2018, https://www.menshealth.com/nutrition/a19527784/london-broil-nutrition-facts/. Accessed 21 Dec 2018. "Calories In Beef Flank Steak, Lean Only, Broiled | Nutrition, Carbohydrate And Calorie Counter". 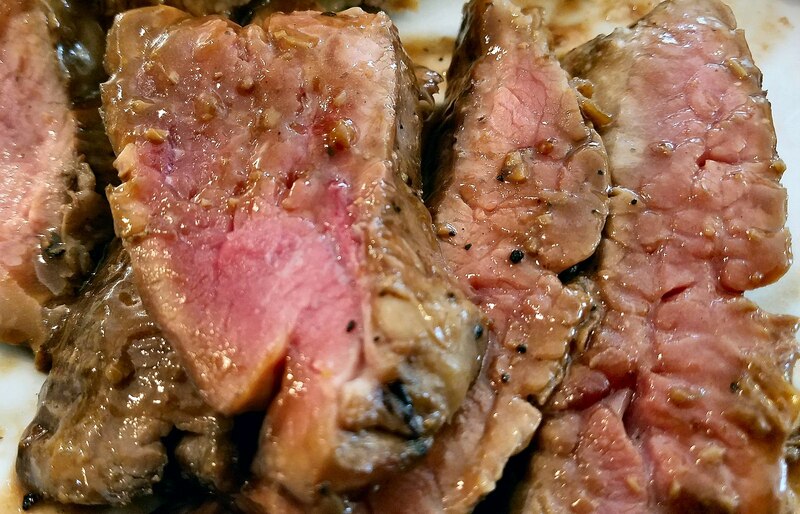 Calorieking.Com, 2018, https://www.calorieking.com/foods/calories-in-beef-beef-flank-steak-lean-only-broiled_f-ZmlkPTEzMzE5NA.html. Accessed 21 Dec 2018.